A broken-down air conditioner is the last thing that your home needs during the summer season. An AC unit can be critical during the worst times of the year. That’s what makes home AC repair services all the more essential. A service provider can take care of many functions for you. Is The Air Conditioning Unit Turning On? Sometimes an AC unit will not turn on due to a variety of issues. It could be from circuit breakers or fuses not working or maybe because the condensate has flooded up the unit. Perhaps other physical parts of the unit might be loose and worn out. Either way, you can consult a repair service for help in the event that you are bearing with such problems. Are the Coils Keeping Up? Random changes in the humidity in an area can make it to where humid area can be forced into a room rather quickly. This in turn can make it harder for conditions in a room to be a little more comfortable. In particular, the coils may especially start to turn on and off quickly if it suffer from an extreme amount of pressure, thus keeping your AC unit from working well. You will have to get your coils repaired or even replaced all the way with ones that are suitable for your specific unit in the event that there are serious problems coming off of your unit. The seals around an AC unit can break after a while. That is, some units will stop keeping the air that comes out from moving around carefully. This in turn can create a problem that can cause your unit to stop working properly. An AC repair team can help with keeping all seals around the unit covered so they will be resolved and controlled the right way. A compressor that runs for too much or too little time can be harmful. It can dirty, obstructed and in many cases causing more pressure onto the AC unit than necessary. A repair professional can take a look at a compressor to see if it is aligned properly or if there are other threats that have to be resolved before such a unit can continue to work again. How Are the Vents Working? The vents can be just as important to the air conditioning in a home as the AC unit itself. Sometimes the vents may not be properly aligned. In other cases an air filter may not be running the right way. Of course, sometimes air vents themselves can be clogged up with some of their outside components getting in the way of an AC unit. Either way, home AC repair services can get all of these problems taken care of as well as possible without any fear. 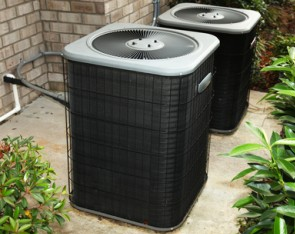 Be sure to consult a repair service such as Dallas Plumbing Company when finding ways to get your home AC unit fixed. You need to ensure that your setup is fixed carefully and quickly so there will be no problems over whatever you might hold.